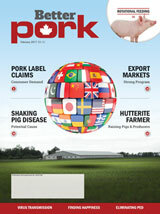 Better Pork Magazine February 2017 edition features the following articles: Pork Label Claims - Consumer Demand, Export Markets - Strong Program, Shaking Pig Disease - Potential Cause, and Hutterite Farmer - Raising Pigs & Producers. 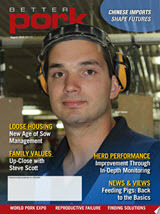 Better Pork December 2016 edition features Adam Schlegel on the front cover. 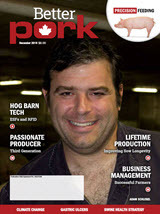 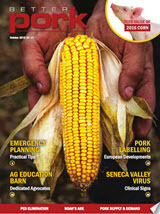 The magazine highlights the following articles: Hog Barn Tech -- ESFs and RFID, Passionate Producer -- Third Generation, and Lifetime Production - Improving Sow Longevity, Business Management.